…I wrote that my visit to this wonderful country “really did happen as a result of a fortunate series of chance meetings between 2000 and 2001. It was a time when my life was going through a period of great change and I had just embarked on a new career as a freelance writer”. 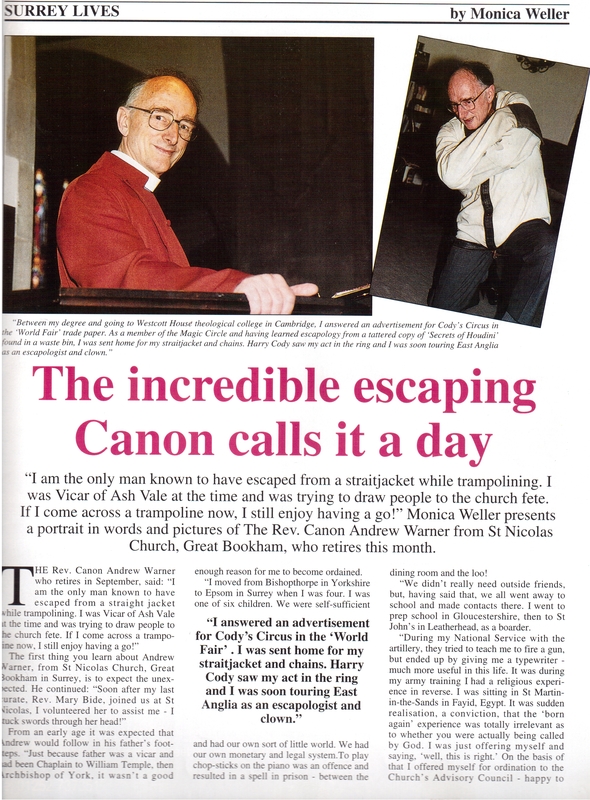 “A Comma in Bookham“, the story I wrote about the Buddhist monks in my home village was published in the Surrey Lives section of the Surrey County magazine in April 2000 – the first of a run of my stories about people living in the county of Surrey that they published…. stories that seemed to crop up by chance. Soon afterwards I spotted a man in the bushes close to the lay-by on the main road that runs through our village. It was hard for me to ignore activity…anywhere! 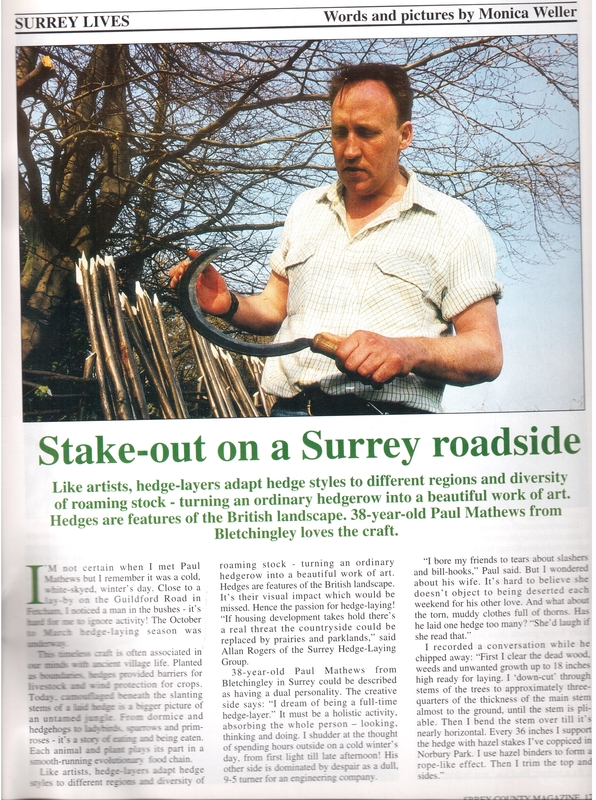 The guy was hedge-laying – a feature of the British landscape…..and …the story became another feature in Surrey Lives. 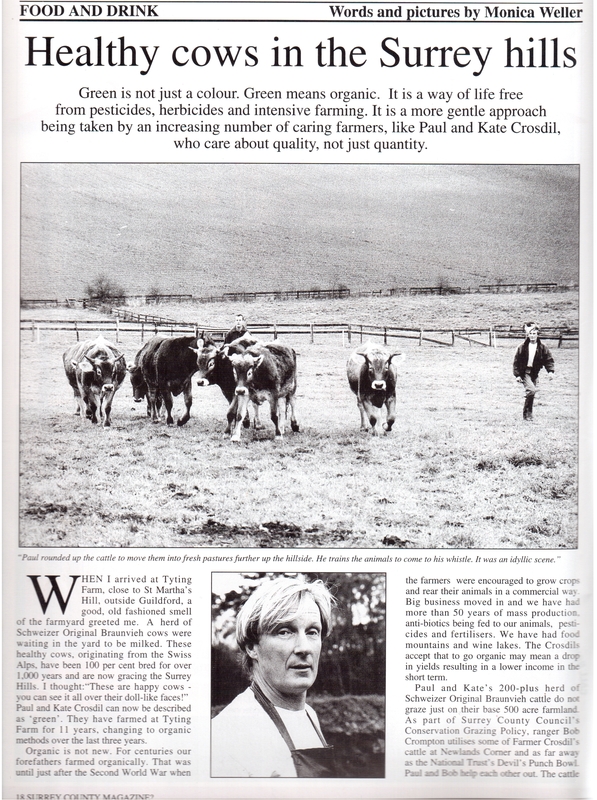 Next came my story about Healthy Cows in the Surrey Hills which was published in the same magazine. I can’t quite remember exactly how Gardens and Guests came about. 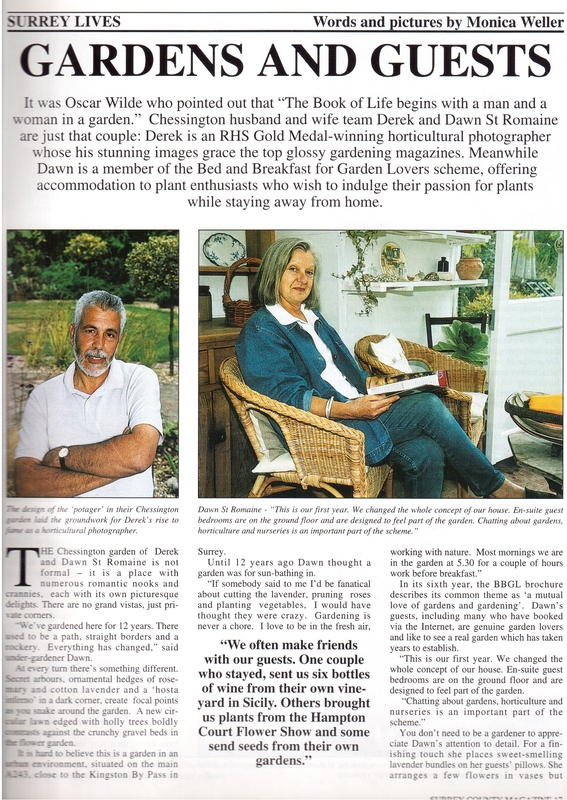 I think I may have heard something on local radio about Derek St Romaine, a Royal Horticultural Society Gold-Medal winning photographer, and his wife Dawn who ran a B+B in their Surrey home. I probably then phoned them to get my own take on their story… and towards the end of the year it was another article in the Surrey Lives series – with a story about their gorgeous garden with its numerous nooks and crannies and private corners, and where, at every turn, there is something different. Secret arbours, ornamental hedges of rosemary and cotton lavender and a hosta inferno in a dark corner as you snake around the garden. Thinking back, this was a significant time in my early writing career… honing my skills… and at the same time posting articles to the Writers Bureau College of Journalism in Manchester, with whomI was following a freelance journalism course. I was finding that gardening and the great outdoors were popular topics with magazine editors…well, they were for me! I kept my eyes and ears open for snippets of anything that I could turn into stories.